These cereal storage containers have 4 separate compartments for displaying a variety of product. 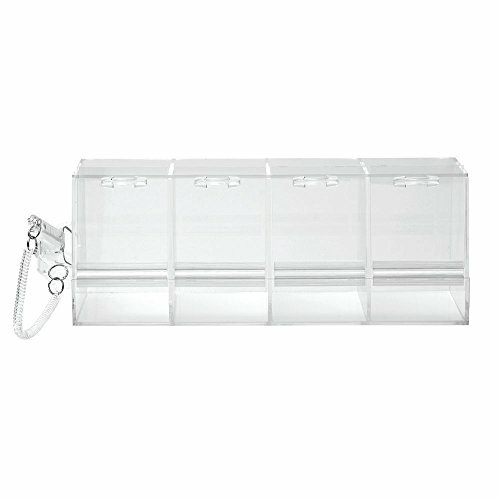 The 24" x 24" x 9" bin is the top unit of stackable countertop displays. These cereal storage containers can be used separately with minimal space required. Each section can accommodate 4 pounds of product for a total weight of 16 pounds. Each unit comes with a clear acrylic scoop and holder.